At IBP we always shout about the word, “inspiration.” We are ‘Inspired by People’ and so we should be, people are amazing, and it’s those around us who push us to try harder every day. 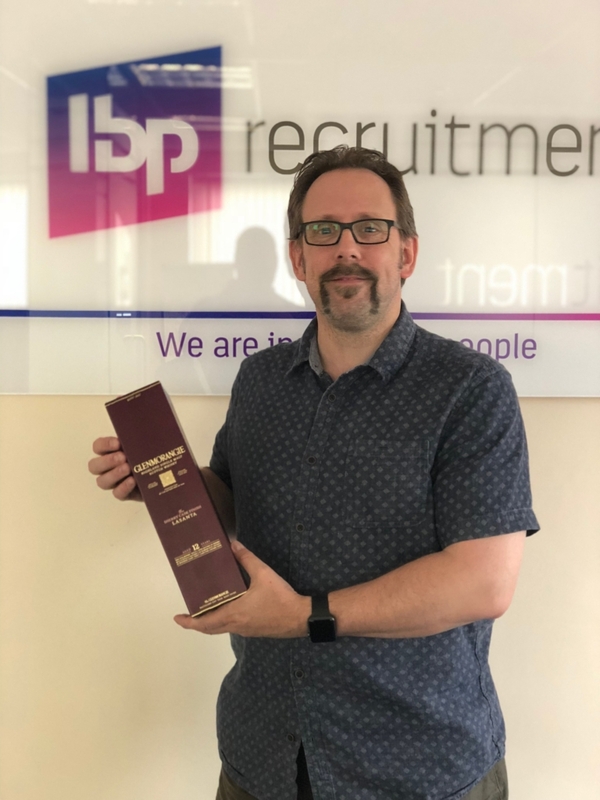 It is because of this commitment to celebrating those who inspire us, that this month, IBP presented Darren with a lovely bottle of Glenmorangie, that gorgeous single malt from Ross-Shire, just a small token of appreciation. This was for yet another fantastic month, as he has dominated the hospitality sector, a notoriously difficult one to tackle. His work has left many happy clients and found many more candidates new roles, so they are settled before Christmas, be more like Darren. With roles across the country, if you’re looking for new staff or need a champion to find you a new career, speak to Darren today and make today the first day of your tomorrow.